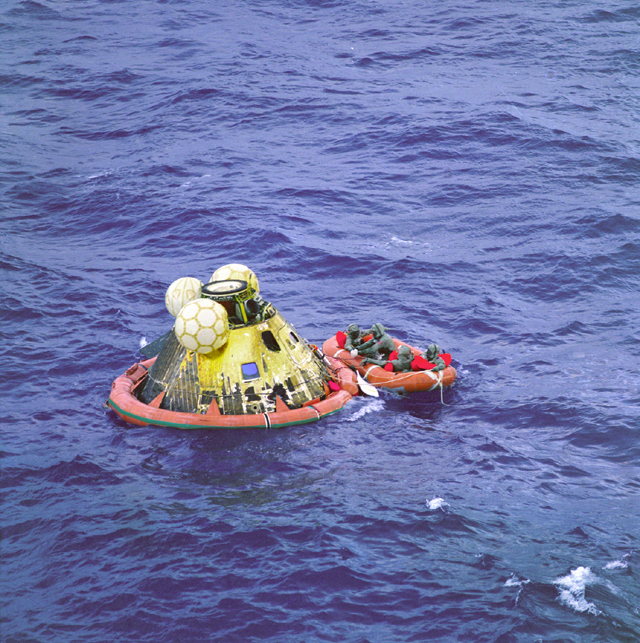 After hearing about the death of Neil Armstrong, I went to the NASA website to have a look at some pictures of the Apollo 11 spaceflight. They’re magical stuff, space pictures. 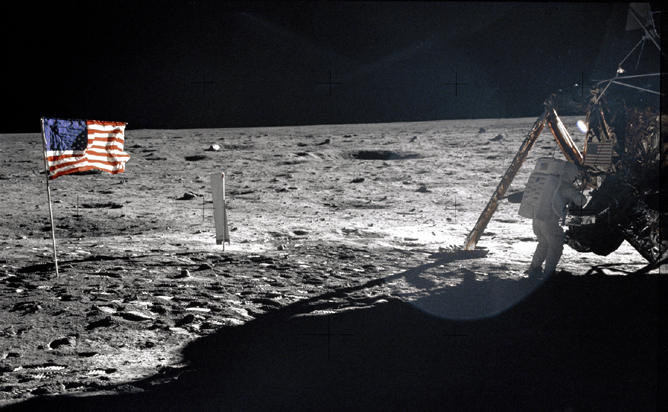 And it still seems such a strange and wonderful thing that humanity put some people in a wee metal box, lit an enormous explosion under the box and flung it out into the deathly cold vacuum of space towards an object some four hundred thousand kilometres away. What a daft thing to do. How marvellous that it was done. When I was a kid, I wanted to grow up to be an astronaut. I assume most kids do at some point. I’m not an astronaut, alas, though that’s alright cause I suspect I’d make a very poor one what with being afraid of heights, suffocation, small spaces and space food – but I never lost interest in space. 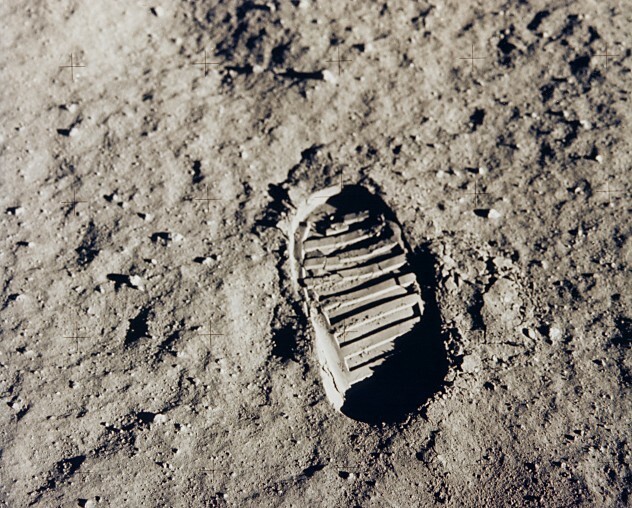 So here are some pictures that I like; my own small way to mark the passing of Neil Armstrong, the first man on the Moon. To space! 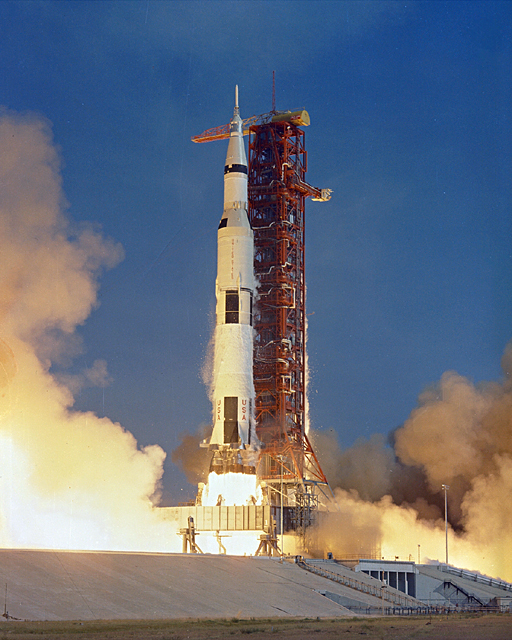 The Apollo 11 about to take off. That can’t possibly be safe. LOOK AT ALL THE FIRE. Imagine glancing in your rear view mirror and seeing that behind your car. NOT GOOD. In this case though, I assume this was what was wanted. 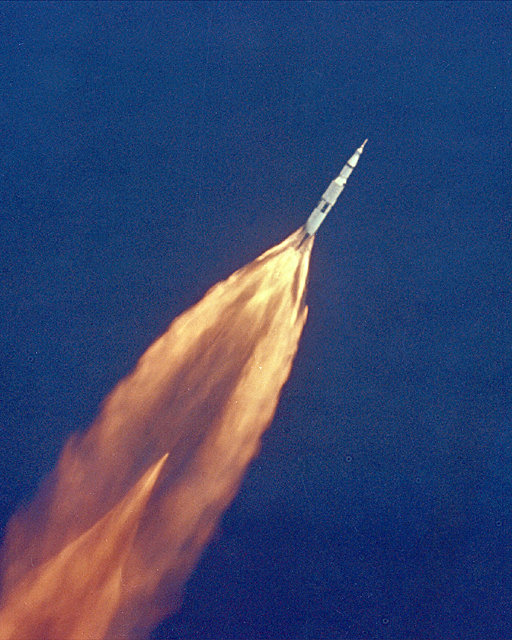 There are people in that tiny little rocket, y’know. 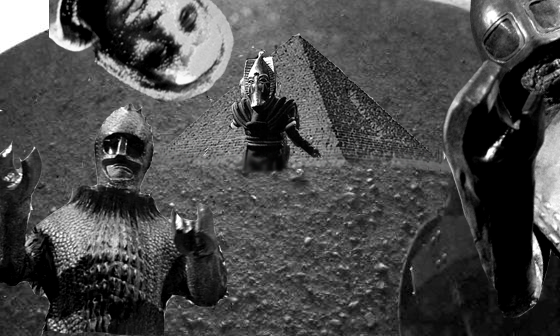 This is a Neil Armstrong on the Moon. The flag is flying, but what if it had been a gentler breeze? That wouldn’t have looked so good. Or did they bring a great big fan with them just in case? 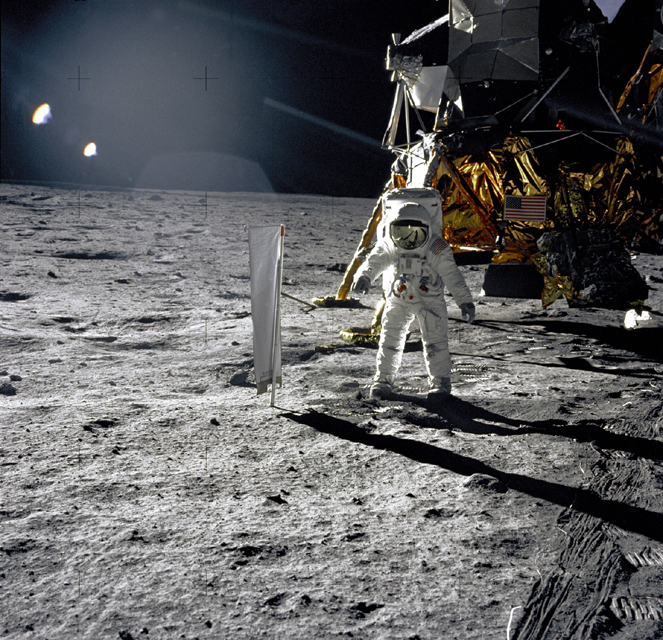 A Buzz Aldrin on the Moon! Next to some manner of wind experiment. Perhaps the sort of experiment that will provide the lunar winds for the flag to fly. I always feel a bit sorry for Michael Collins, since he’s stuck up in space and he came all that way, but he never got to put his footprints on the Moon and IME no-one ever remembers him. It probably doesn’t help that the first Michael Collins one thinks of in the UK definitely didn’t go into space. Footprint! Where no foot has trodden before! That’s pretty amazing. I like this photo a lot. Before seeing this picture, I’d never thought about this part of the mission before. Back on Earth! Mission successfully completed! And then floating around in the freezing ocean until someone can be arsed to come and pick you up. 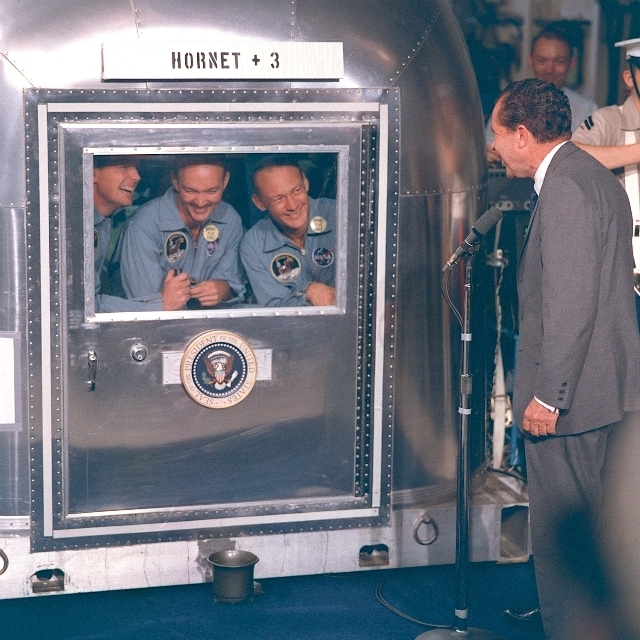 Nixon visiting our noble space explorers in quarantine. I assume this is because NASA watched Quatermass and knew damn well what happened to space travellers when you have dodgy quarantine procedures. I bet Nixon is taunting them. 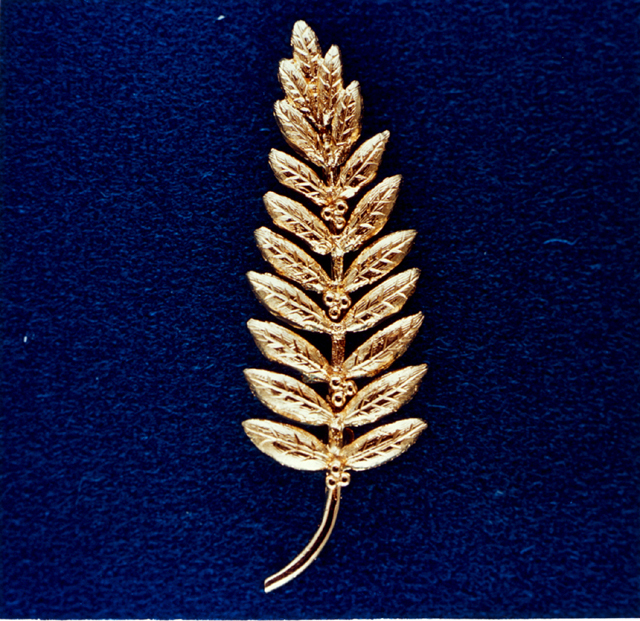 Armstrong left a gold olive leaf on the moon. That’s quite lovely. I wonder, how many people did Neil Armstrong inspire?